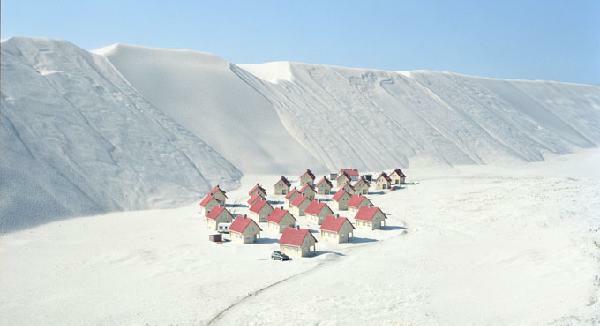 In his latest series "Real Landscapes", the pictures involve placing miniature model houses, Matchbox cars and vehicles, and groups of buildings into authentic sand landscapes, thus "capturing" reality. Taken from an aerial perspective, his photographs aim at visually overwhelming the viewer, creating vast panoramic scenes that fluctuate between the idyllic and the catastrophic. What is compelling about his images is the portrayal of the natural elements as ominous forces. In another series Wrede produced entitled "Small Worlds," his shots of solitary means of transportation in expansive exteriors convey a sense of ambiguity. 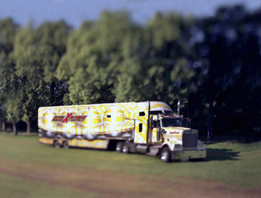 For example, as seen below in his photograph Truck, we see a single truck on a road. Wrede is trying to make the viewer think he is exhibiting the obvious, but we are obliged to search for additional meaning and to defend the legitimacy of the object. The viewer is tempted to assume the truck must be real, encouraging a search for such evidence as to make it genuine, peaking our curiosity. Upon closer inspection of Wrede's works, one can catch the various glimpses of irregularities and discrepancies, such as the proportions of large vs. small in each composition and the slightly manipulated colors. 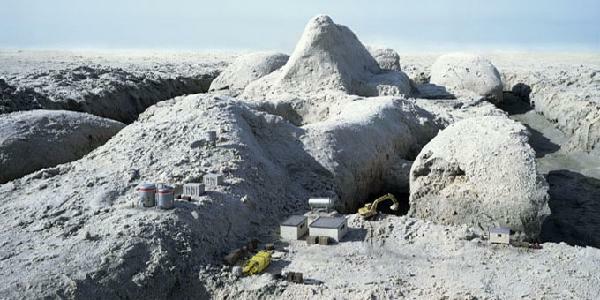 The controlled "fake" landscapes are what make his pieces so witty and clever. 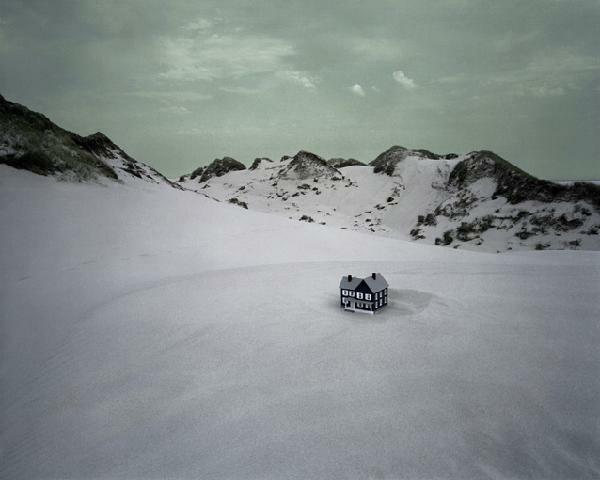 Thomas Wrede has won various scholarships and awards for his work in Berlin, Frankfurt and Dusseldorf, Germany. His exhibitions have included shows at the Municipal Exhibition Hall, Muenster, Germany; the University of Arts, Berlin; the National Museum of Photography, Bradford, Great Britain; and the Gallery for Photographic Art, Munich. 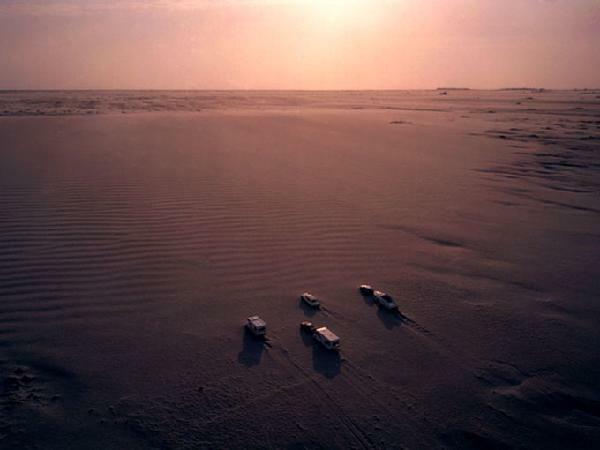 Thomas Wrede's photographs are available through tag-arts. 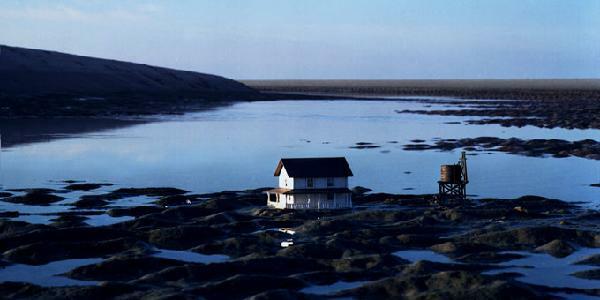 The Real Landscapes series includes 22 different images. Only a handful are sold out. His next series of work will be shown this Fall at Paul Kopeikin Gallery in Los Angeles, CA. Wrede's work is moderately priced. His images are manufactured on frameless surfaces and are available in two sizes. Most of the work is printed in editions of seven, measuring approximately 3' x 4' with a starting price of $5,600. He also produces larger photographs, sized at 4' x 6' in editions of five. Prices in this size start at $7,600. These prices include framing and production costs but shipping from Germany is an extra $500-$1,000. As is often the case with photography the price steps higher as the image sells out.